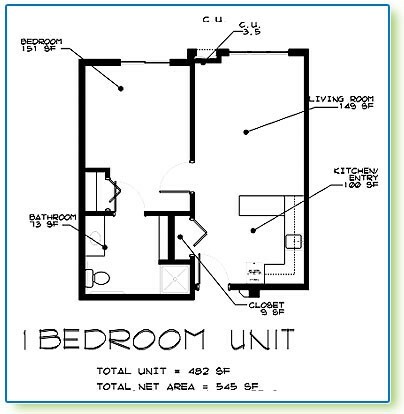 Your apartment is ready and waiting for you to move in and make your own. Enjoy a clean and secure apartment surrounded by friendly neighbors and staff who are glad to welcome you home. For more information on Apartment Services click the button below. 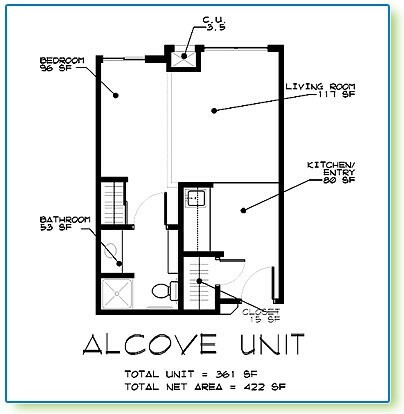 Choose from several floor plans including studio, 1 bedroom and 2 bedroom units. A cozy little apartment in which the living room and bedroom are one big room. There’s a kitchenette with a refrigerator and microwave for those times a little snack is needed. The bathroom includes a nice shower. All apartments are individually temperature controlled. This nice sized apartment has a kitchen, living room, bedroom, and bathroom. A refrigerator for storing goodies and a microwave that is great for popping corn is included in the kitchen. The large sized bathroom has storage shelves and a nice sized shower. All apartments are individually temperature controlled. 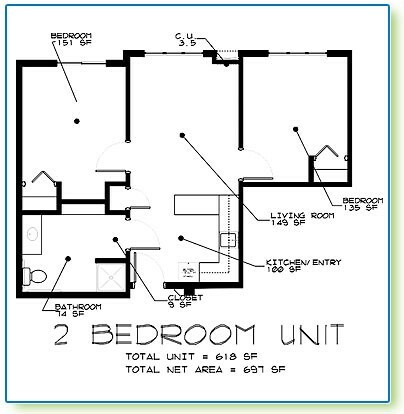 The two bedroom offers an additional bedroom that can also be used for an office area or dining room. A regular size refrigerator and microwave are provided with the apartment. The large bathroom has shelves for storage and a nice sized shower.The living room is just the right size for a couple of cozy chairs, a small couch and a TV. All apartments are individually temperature controlled.